Hospital-acquired infections (HAIs) cost health care facilities billions of dollars each year, and, according to the Centers for Disease Control and Prevention, 75,000 patients die annually in the U.S. alone from these infections. 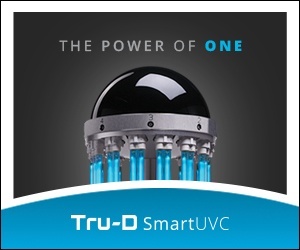 Tru-D SmartUVC is changing the way health care works by providing hospitals with cutting-edge technology for enhanced disinfection of hospital environments. The best success for patient safety and clean environments come from a bundled approach to HAI prevention. This white paper outlines various tactics hospitals can take to ensure a germ-free environment, including the use of UVC disinfection. To download the PDF for ‘Bundled HAI Prevention: Comprehensive Strategies for Reducing Infections’, please provide us with your contact information.